The Silicon Valley-based venture capitalist is a Board Director at Bitcoin blockchain transactions processing giant BitFury. 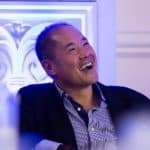 Australian blockchain-powered peer-to-peer renewable marketplace, Power Ledger, has announced that venture capitalist Bill Tai has joined its board of advisors and will become an Ambassador for the company. Tai is a co-creator of the Blockchain Summit which took place last month in Sir Richard Branson’s private retreat, Necker Island. 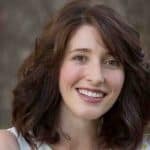 Power Ledger Co-Founder and Chair, Dr Jemma Green who was invited to the Summit to present on how her company was applying blockchain technology to enable the decentralization of energy systems, met Tai onsite where the announcement was made. “The application of blockchain technology is making itself known in so many different industries now,” added Tai. “Power Ledger’s solution is in the final stages of commercial deployment, and shows massive promise in the future of renewable energy and decentralizing the grid”. The Silicon Valley-based venture capitalist is an investor and Board Director at Bitcoin mining giant and blockchain transactions processing company, BitFury.